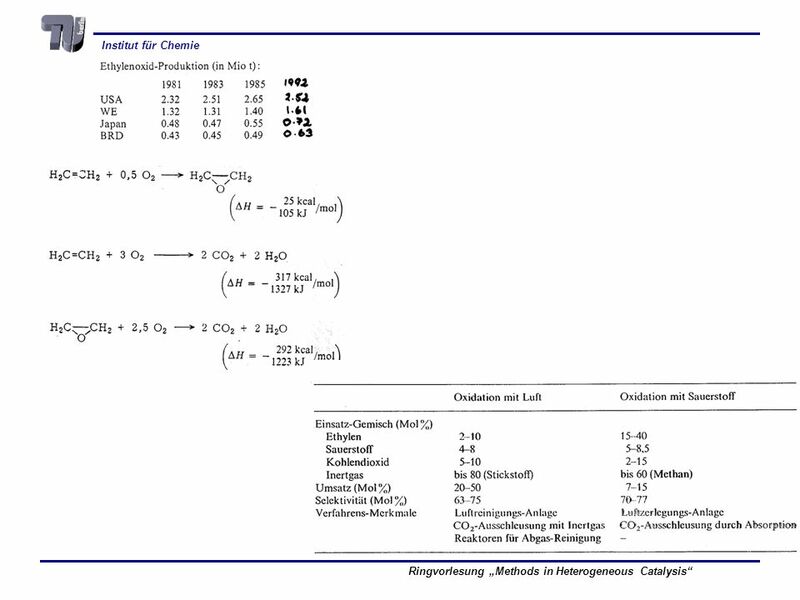 L z q nA . 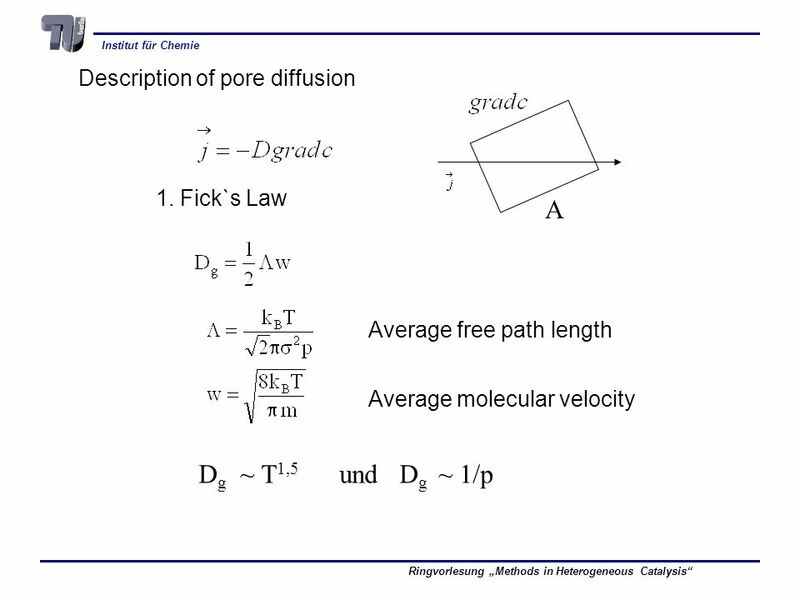 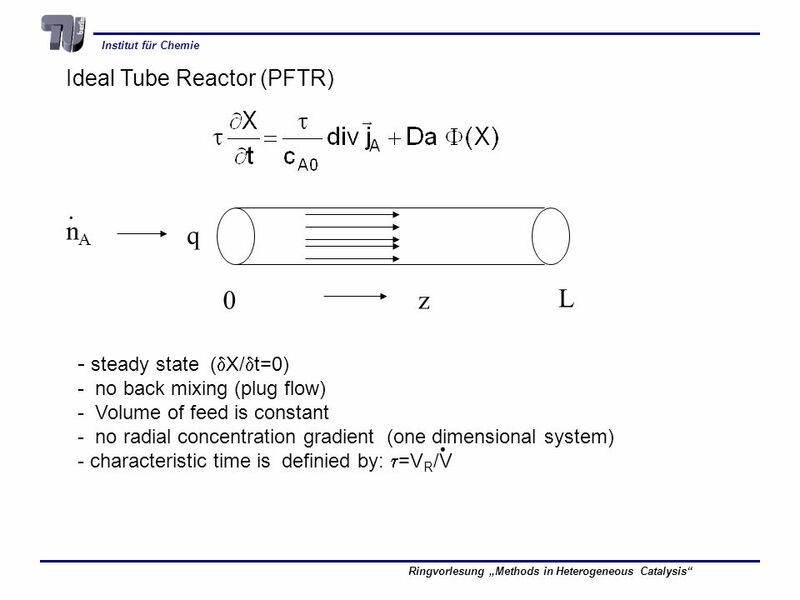 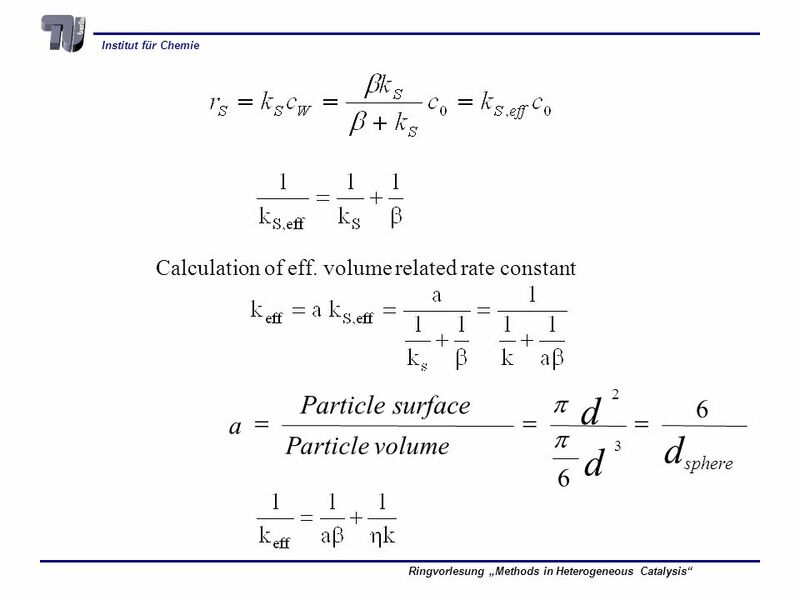 steady state (dX/dt=0) no back mixing (plug flow) - Volume of feed is constant no radial concentration gradient (one dimensional system) - characteristic time is definied by: t=VR/V . 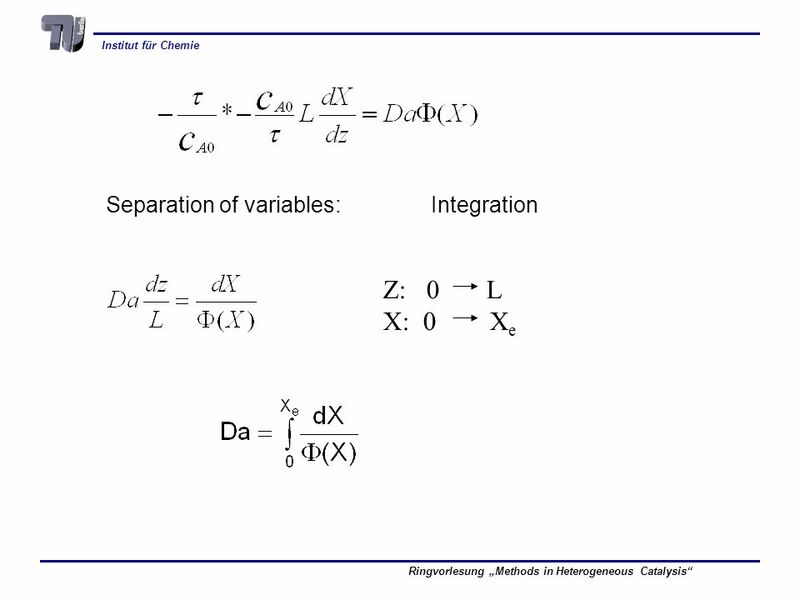 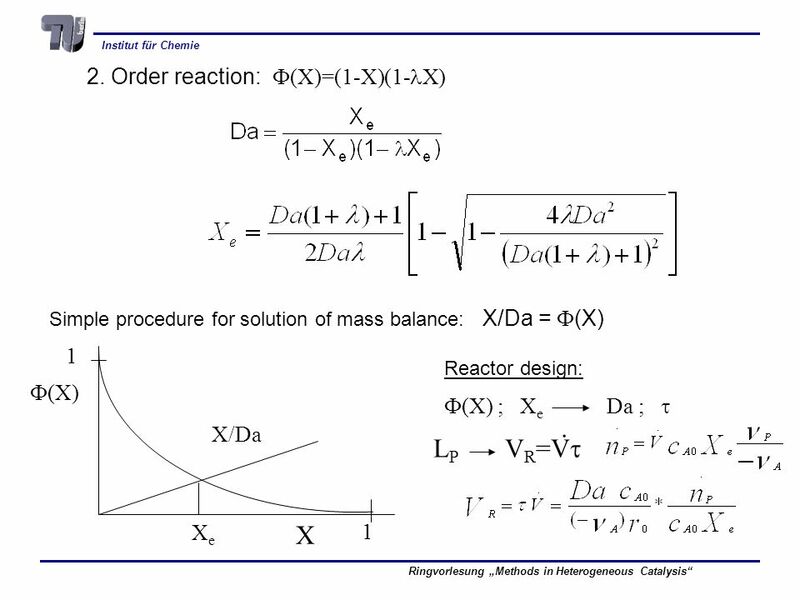 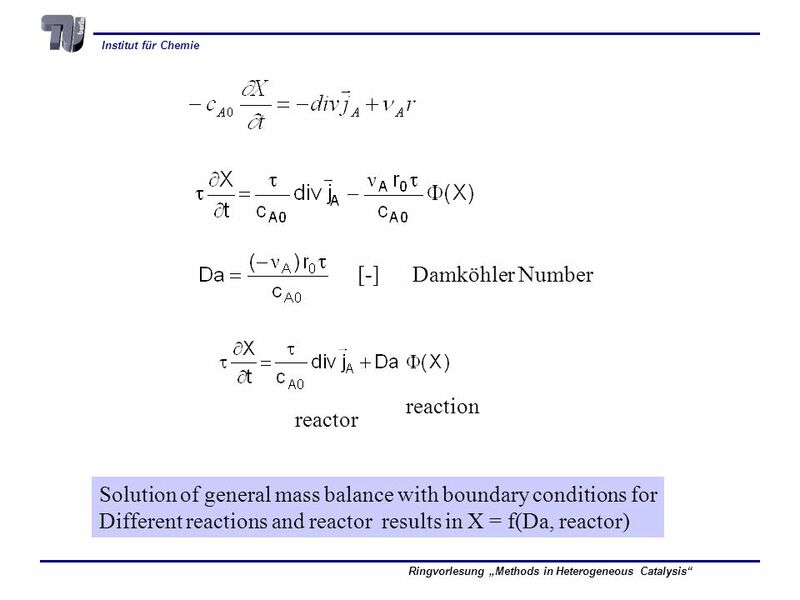 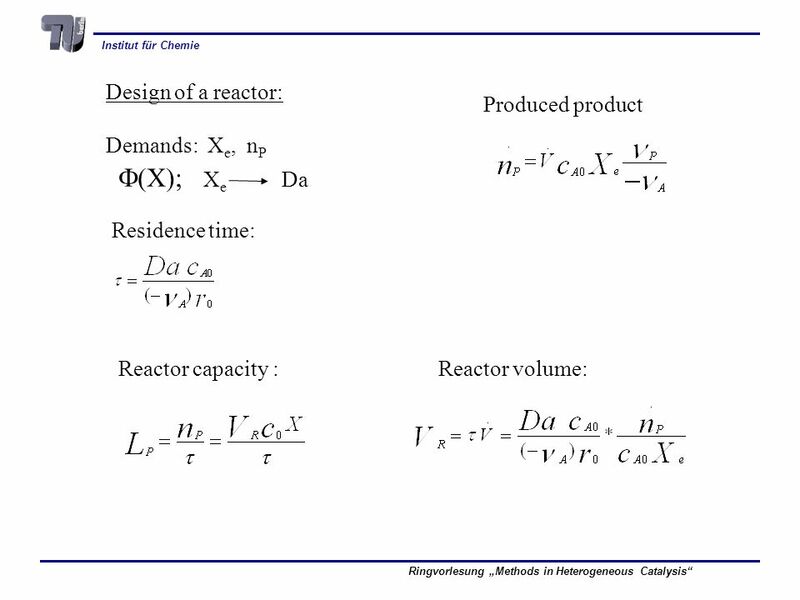 Simple procedure for solution of mass balance: X/Da = F(X) X F(X) 1 X/Da Xe Reactor design: F(X) ; Xe Da ; t LP VR=Vt . 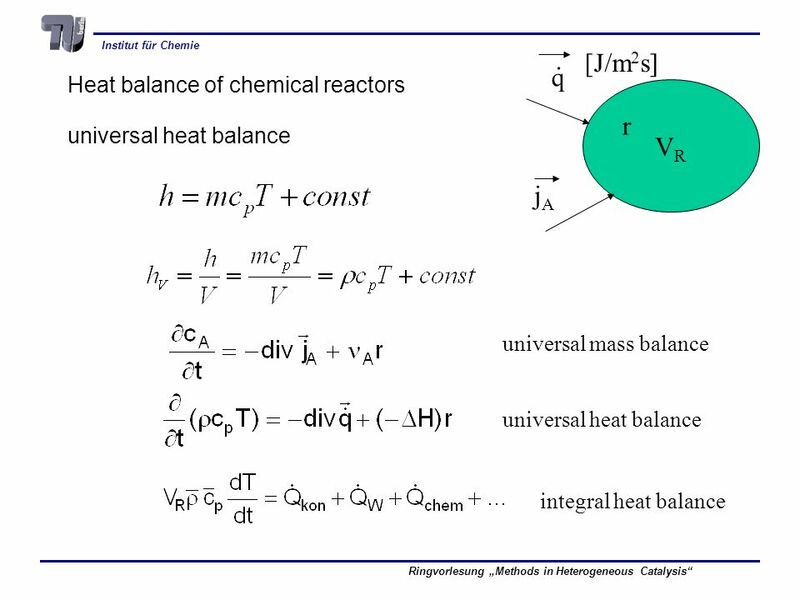 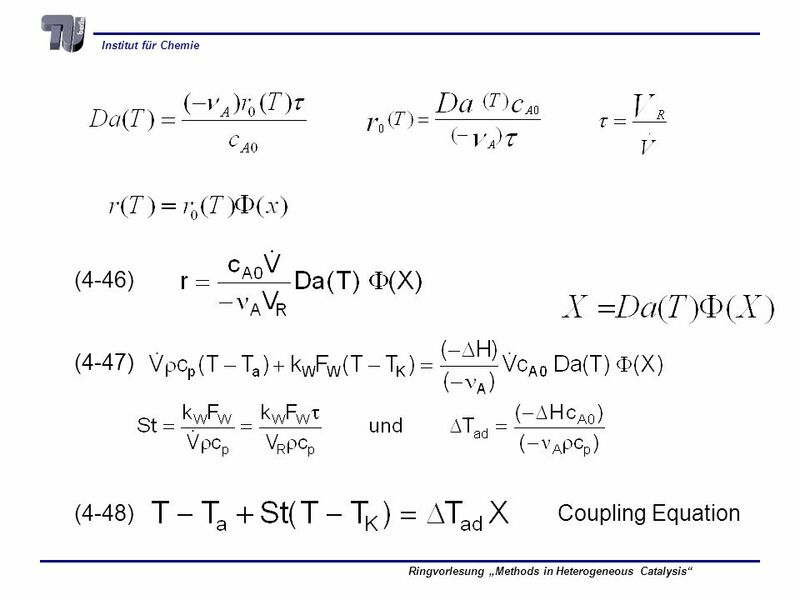 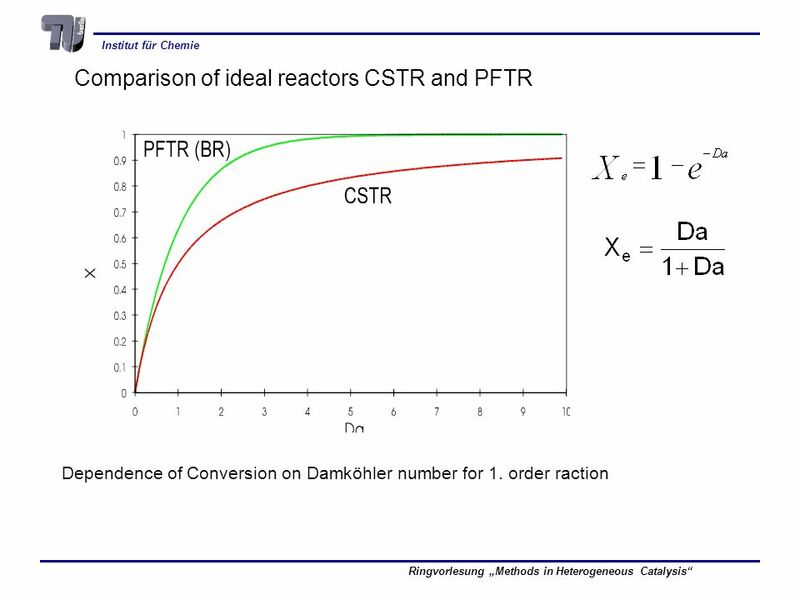 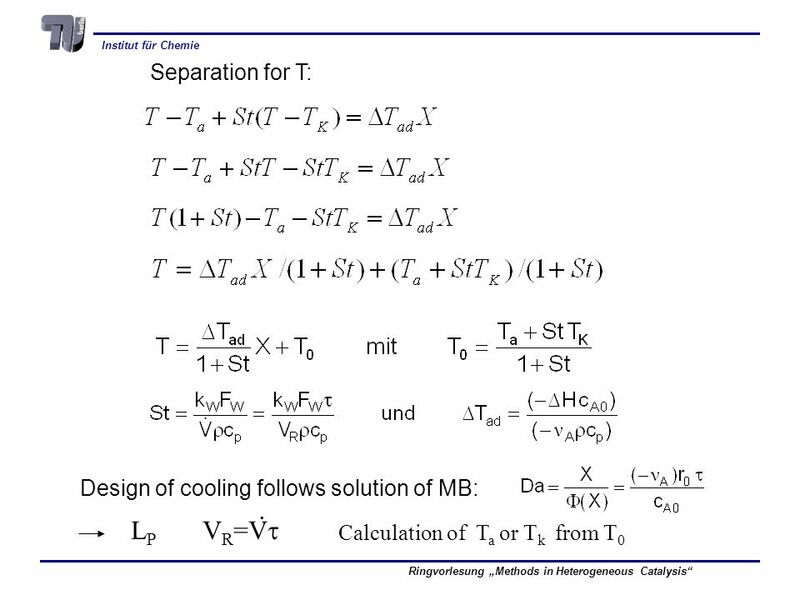 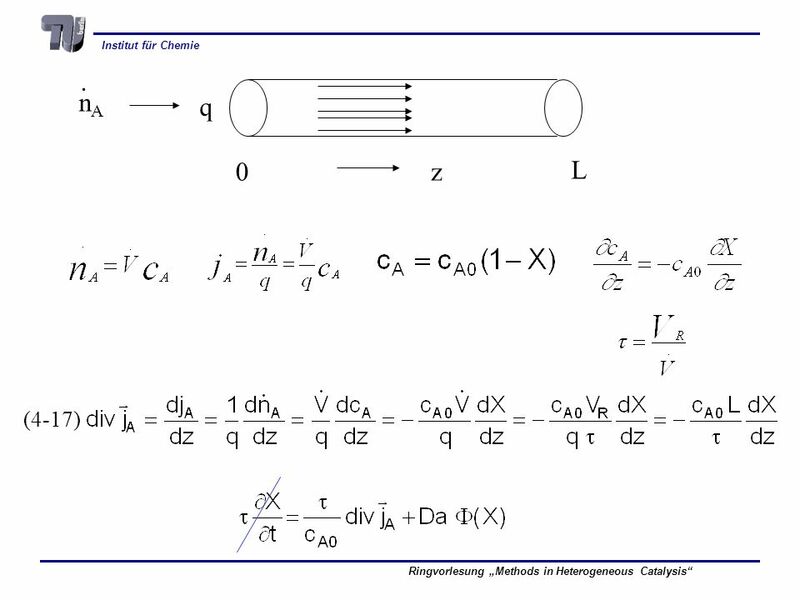 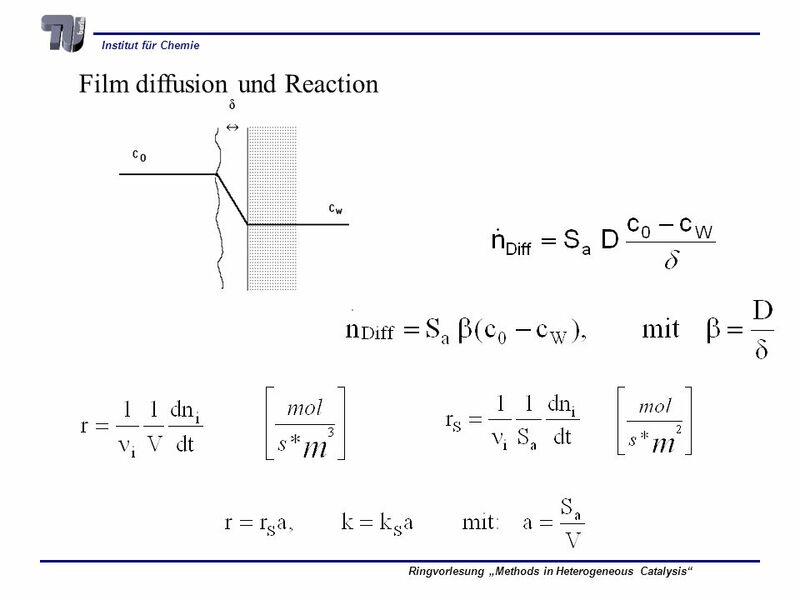 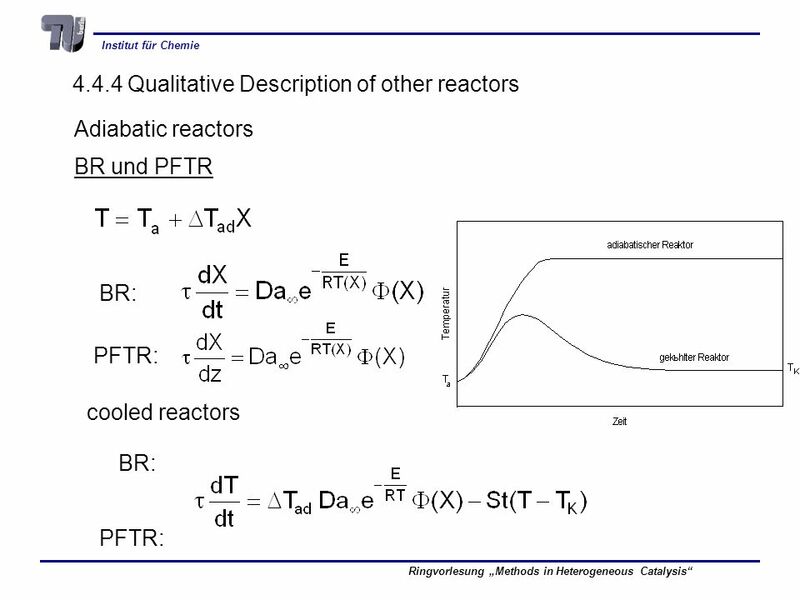 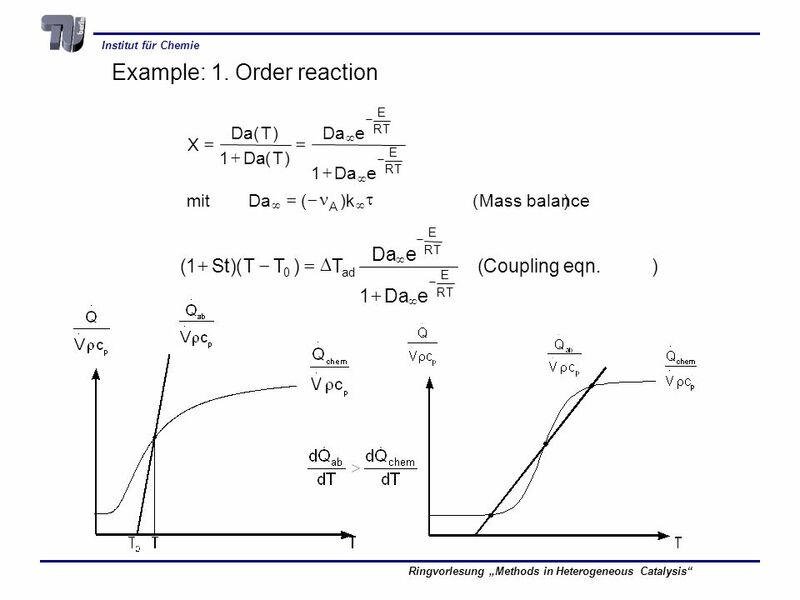 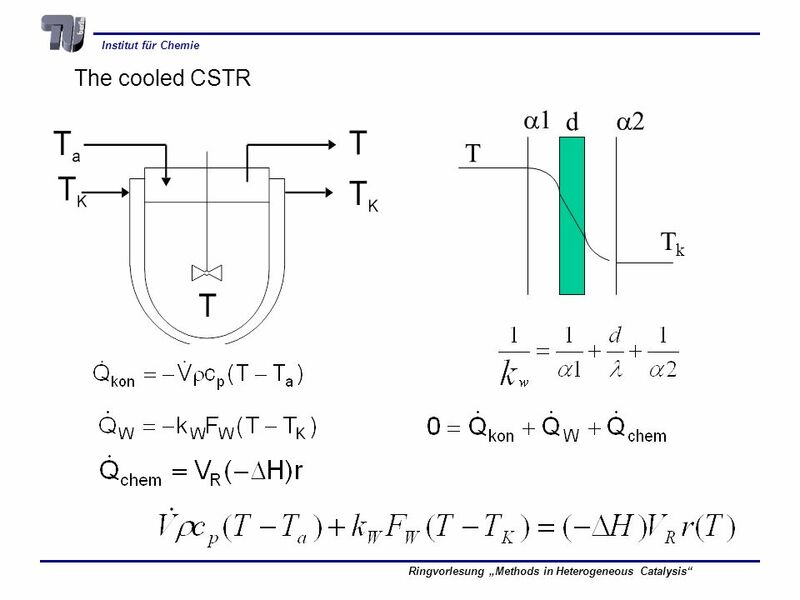 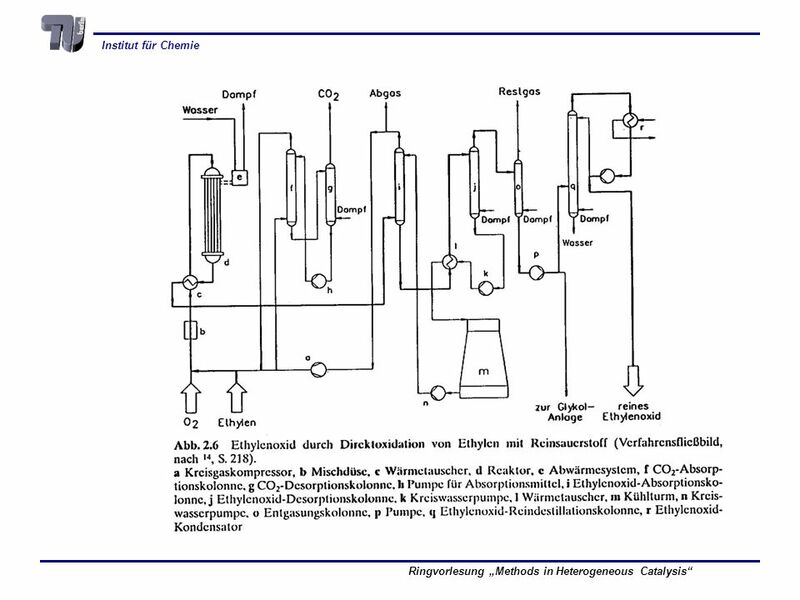 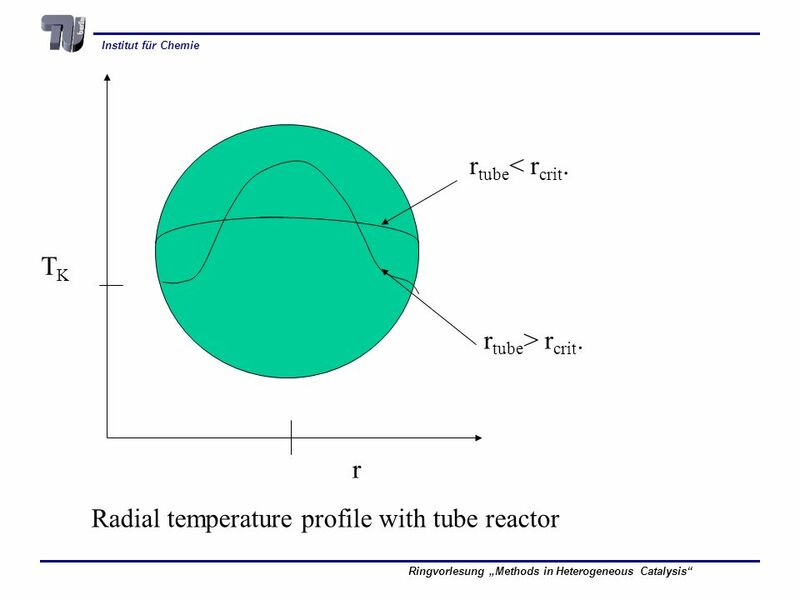 Download ppt "Reaction Engineering in Heterogeneous Catalysis"
Fixed-Bed Reactor for studying the Kinetics of Methane Oxidation on Supported Palladium Objectives: 1.The general goal is to understand: a)the influence. 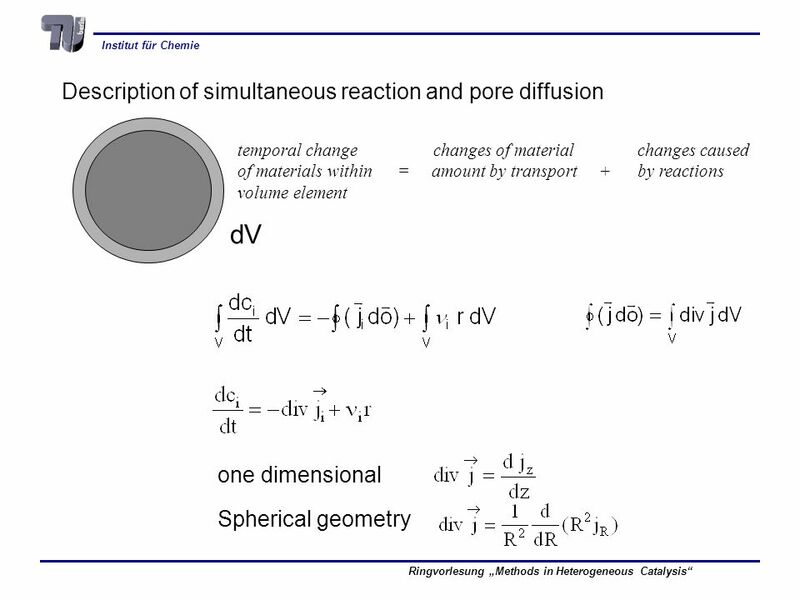 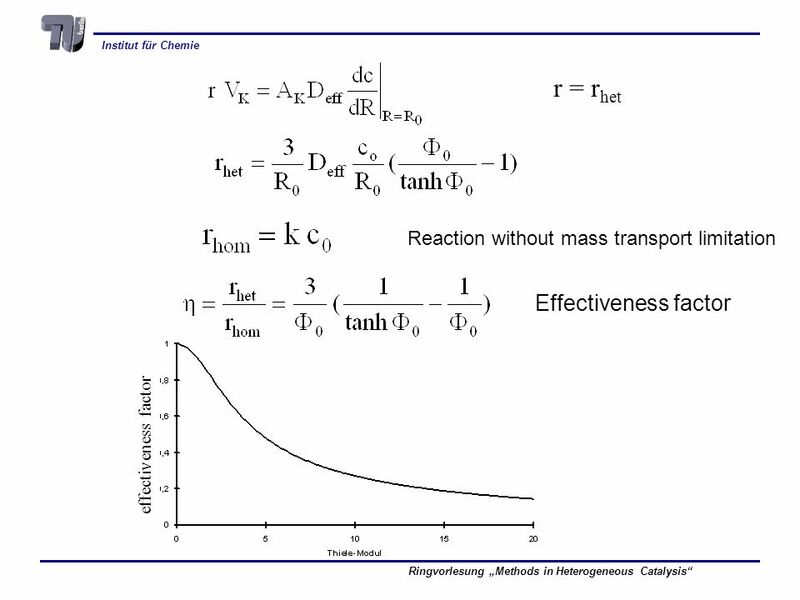 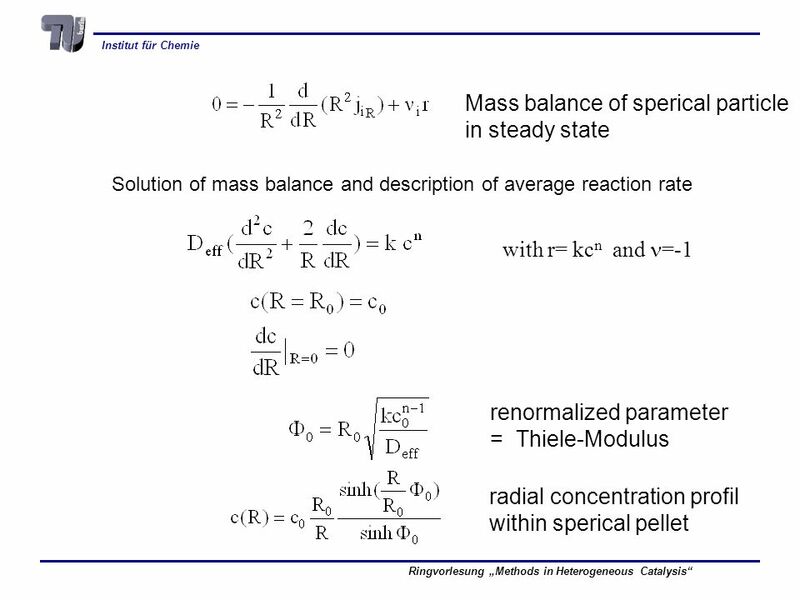 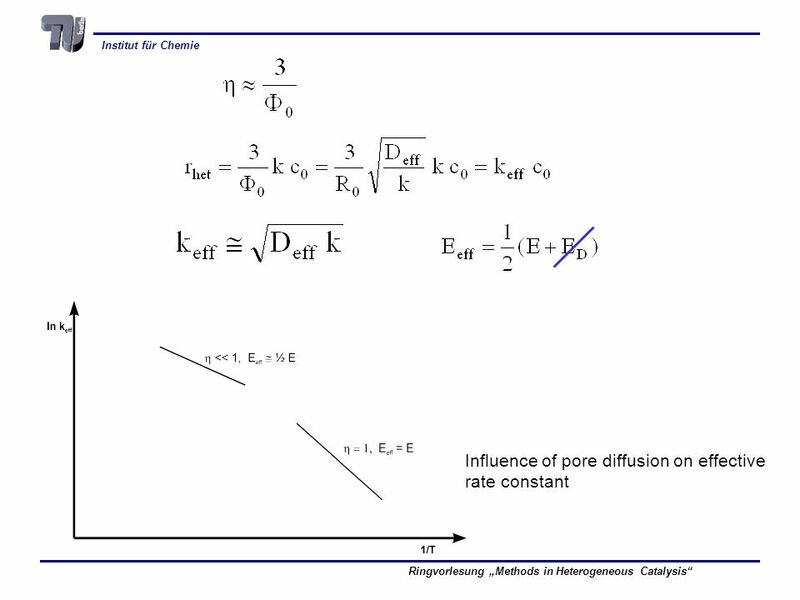 CHEE Internal Mass Transfer in Porous Catalysts We have examined the potential influence of external mass transfer on the rate of heterogeneous. 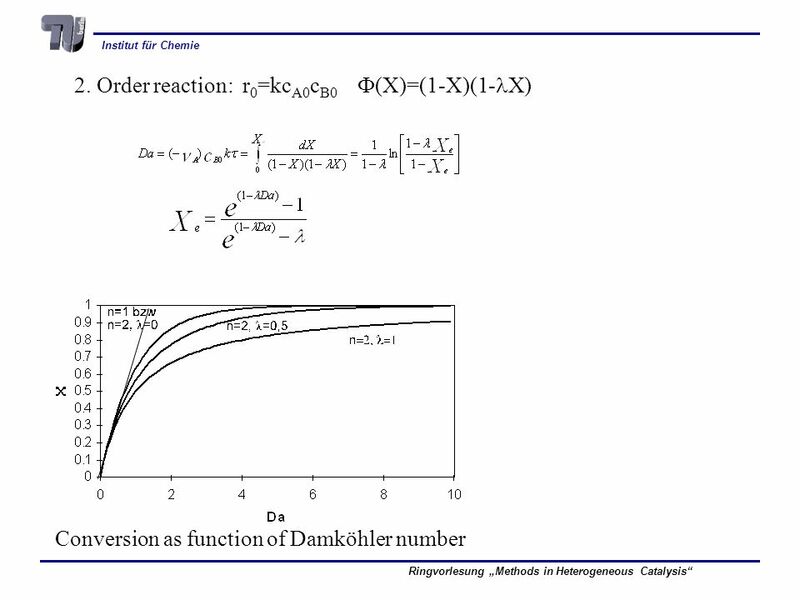 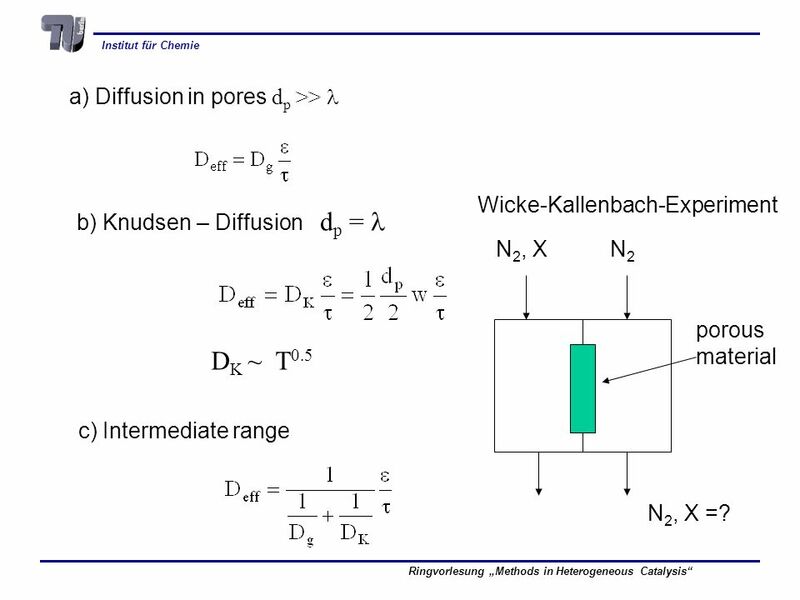 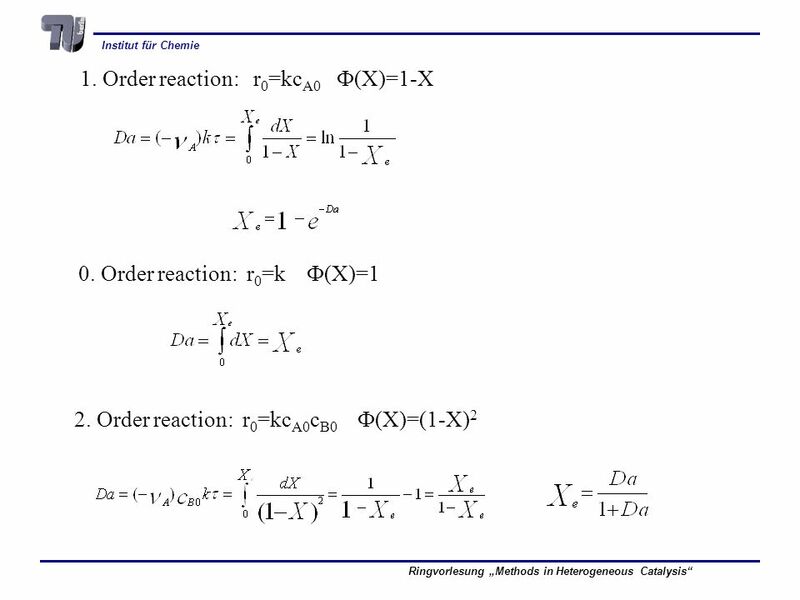 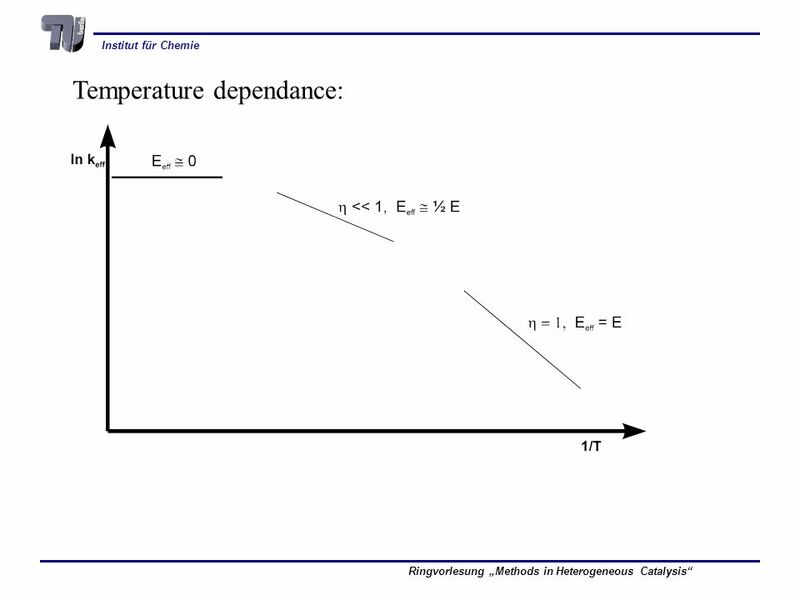 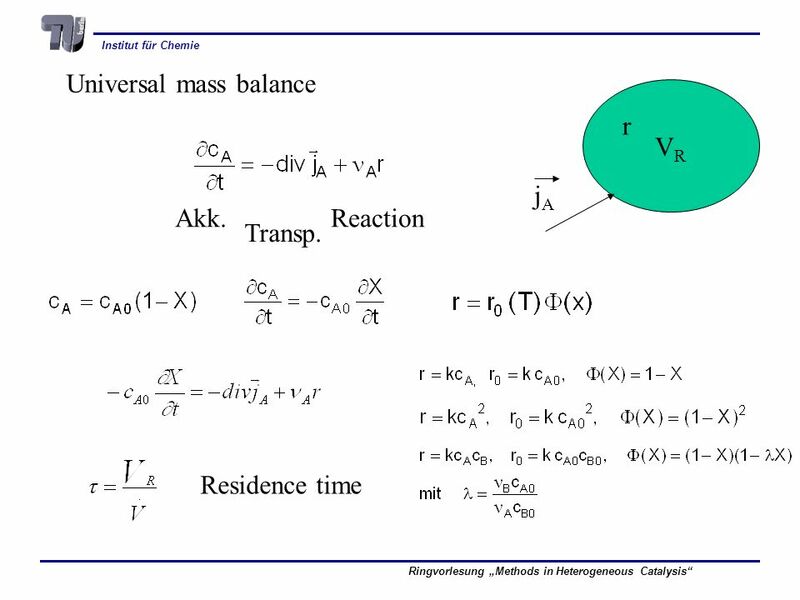 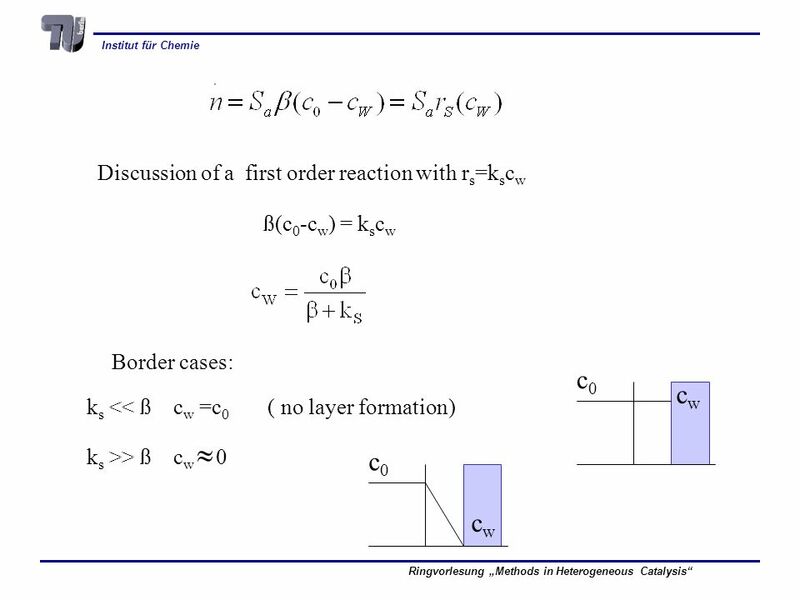 © 2014 Carl Lund, all rights reserved A First Course on Kinetics and Reaction Engineering Class 21. 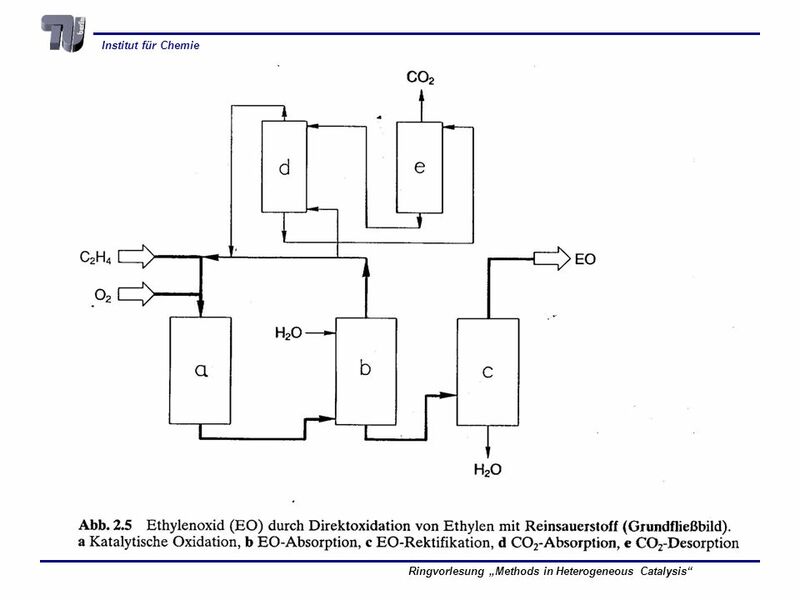 Batch Stoichiometric Table SpeciesSymbolInitialChangeRemaining DD ________ ____________ CC B B A A InertI where and. 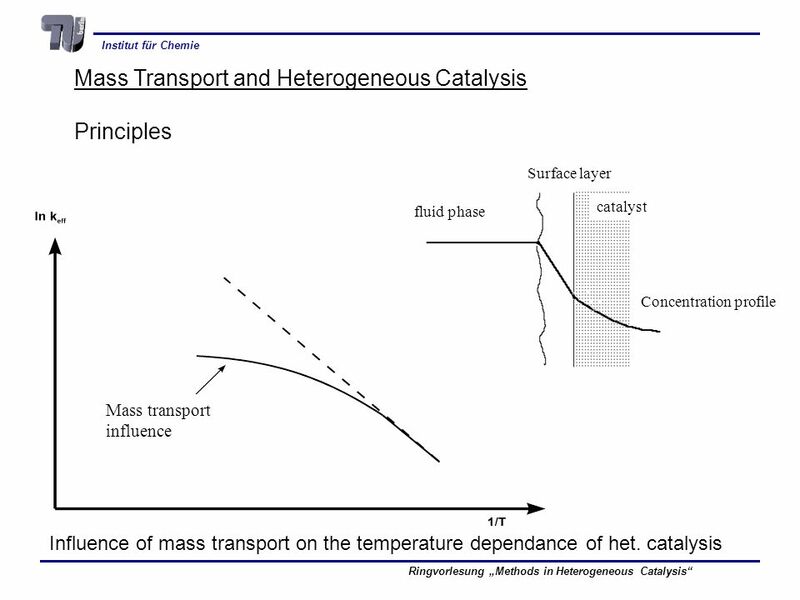 Catalysis and Catalysts - Catalyst Performance Testing 1 Stages in Catalyst development Preparation Screening Reaction network Kinetics Life tests Scale-up. 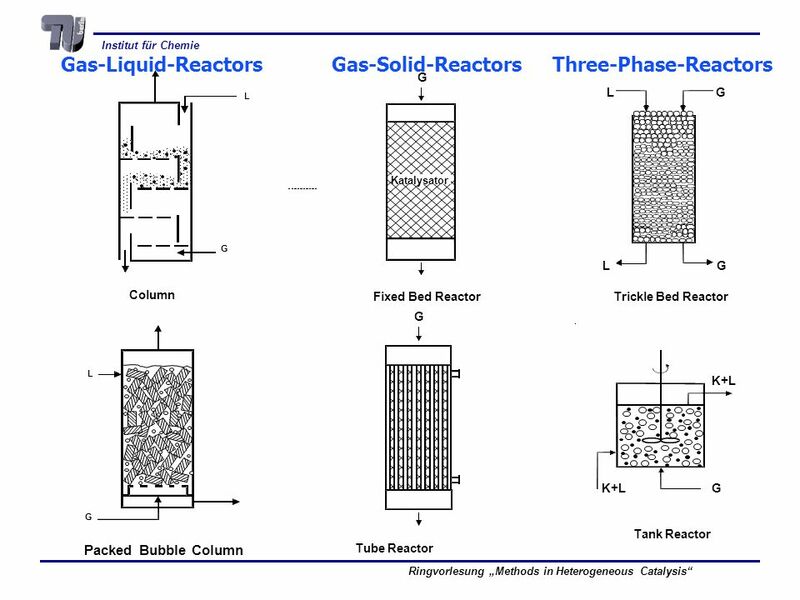 REACTORS By: Shaimaa Soarkati, CHBE446 Section: 0301 A.James Clark School of Engineering By: Shaimaa Soarkati, CHBE446 Section: 0301 A.James Clark School. 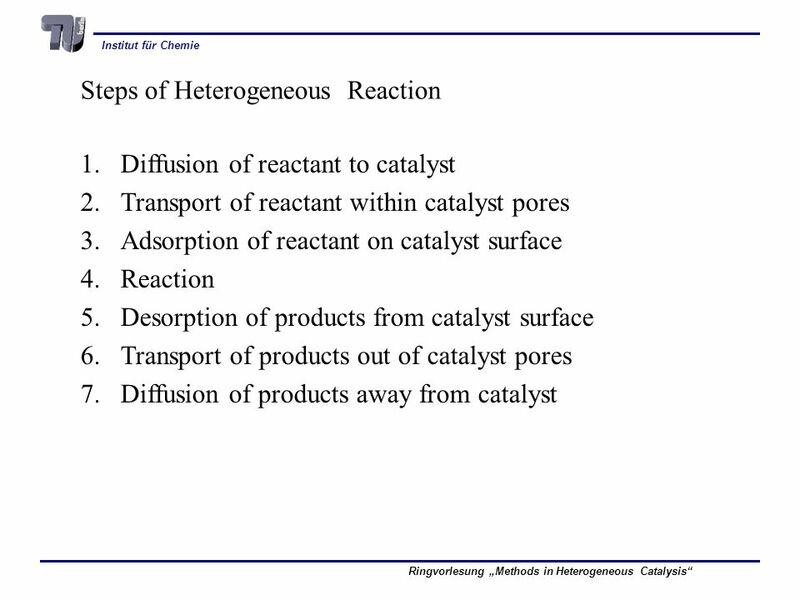 SABIC Chair in Catalysis at KAU Chemical Reaction Engineering Dr. Yahia Alhamed. 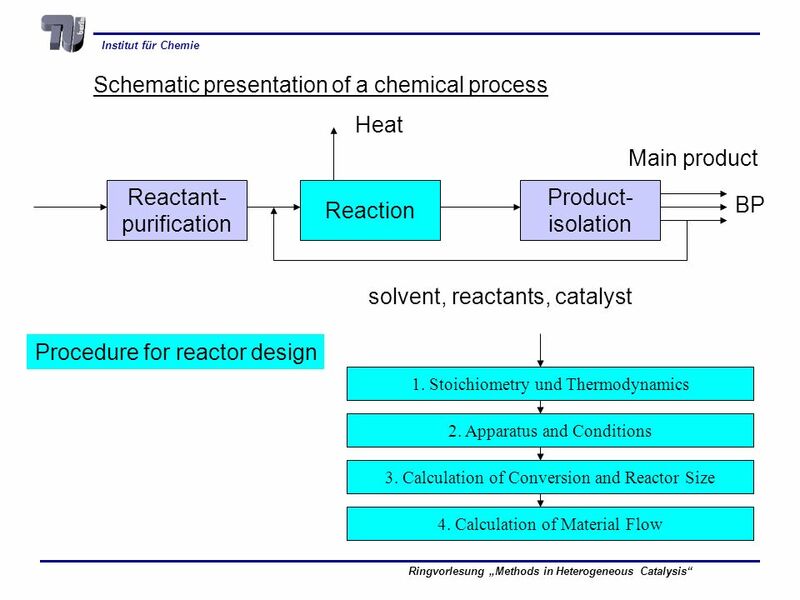 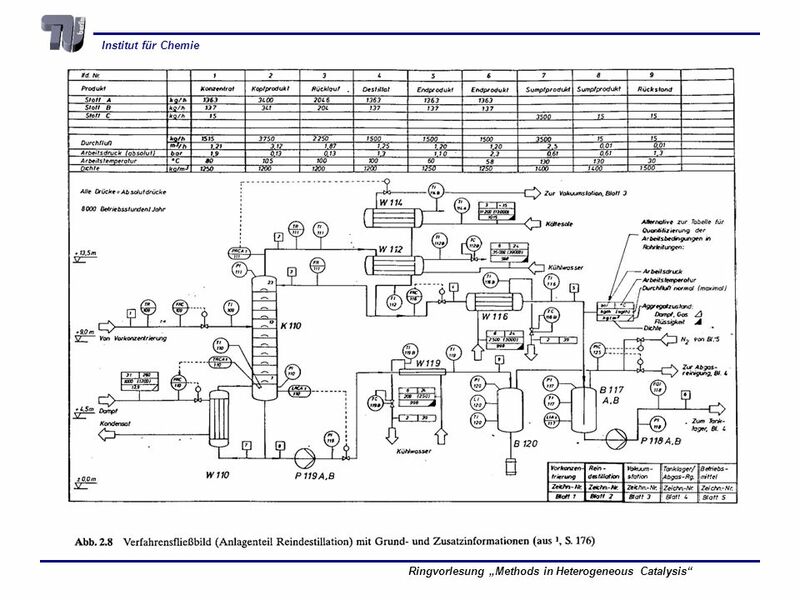 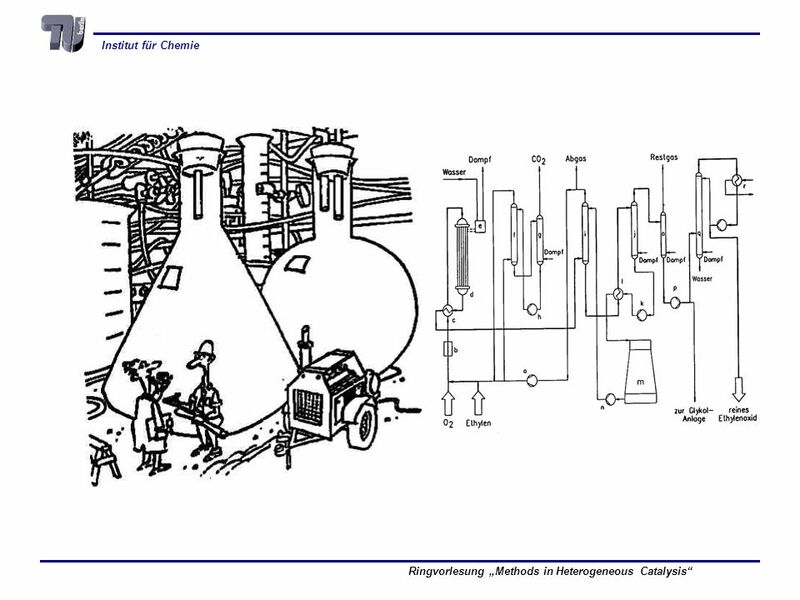 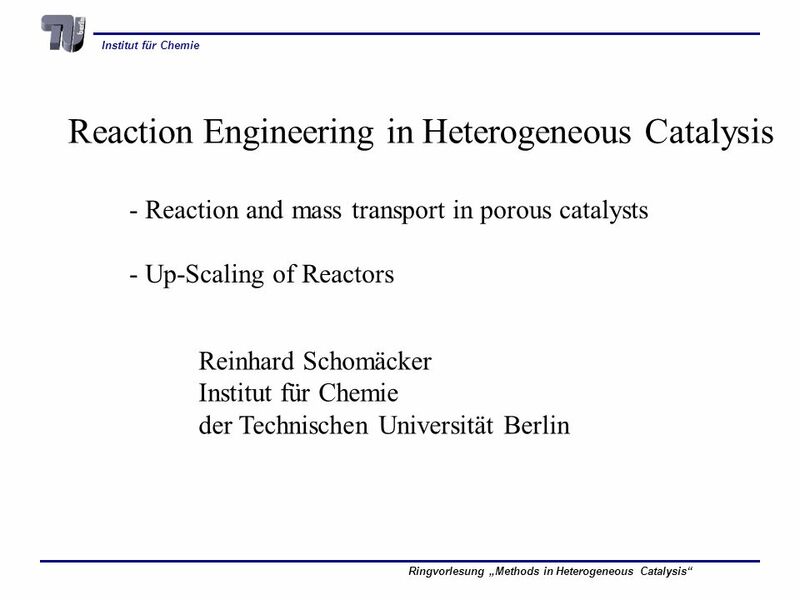 Chemical Reaction Engineering (CRE) is the field that studies the rates and mechanisms of chemical reactions and the design of the reactors in which they. 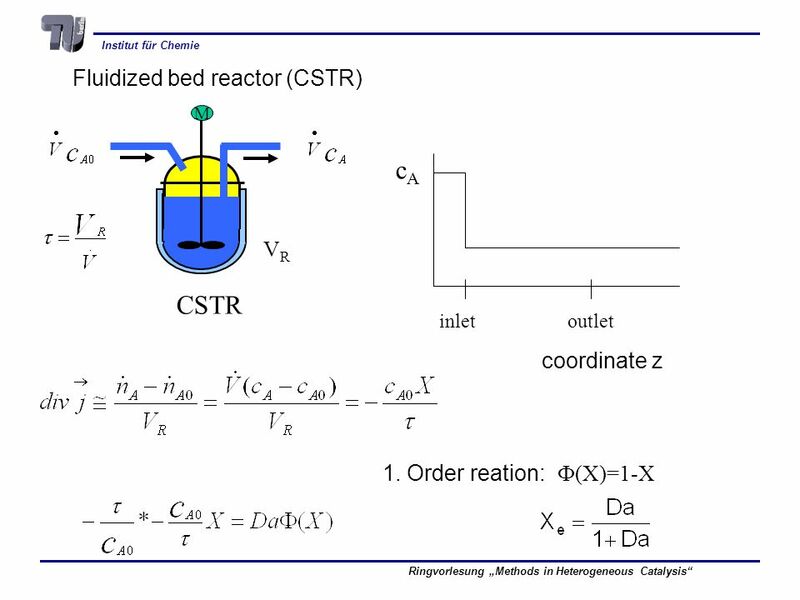 Entrained Bed Reactor Quak Foo Lee Department of Chemical and Biological Engineering. 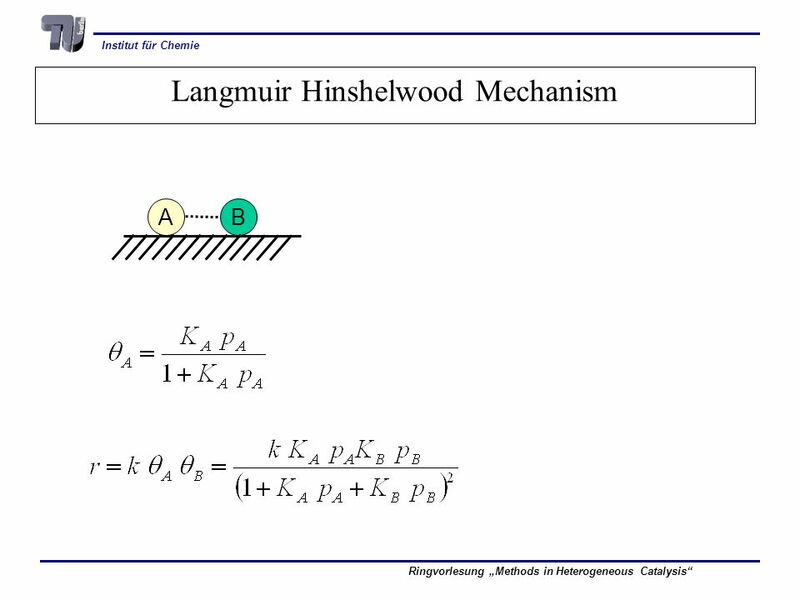 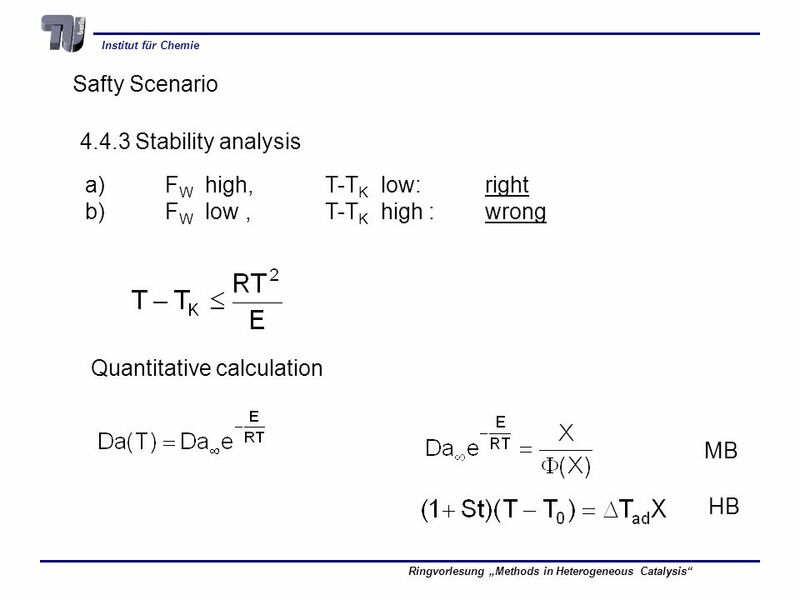 © 2014 Carl Lund, all rights reserved A First Course on Kinetics and Reaction Engineering Class 23.